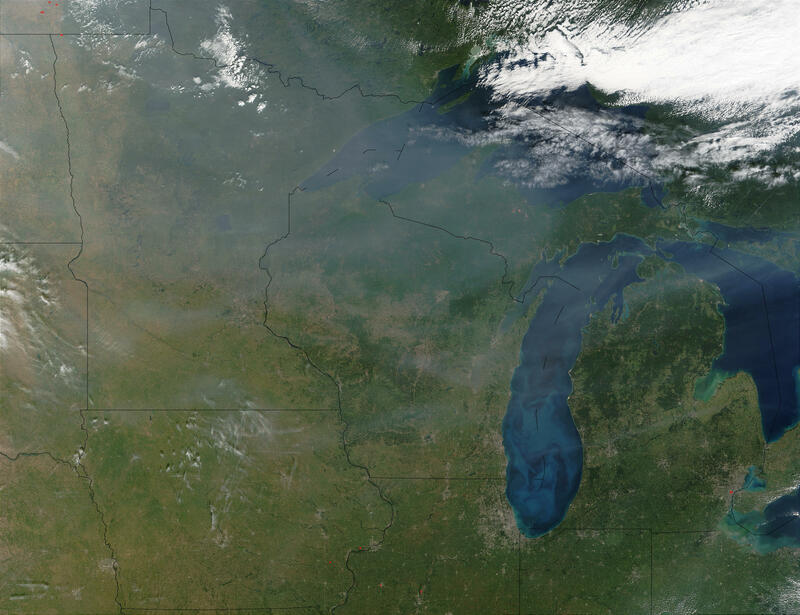 This true-color image shows smoke spreading eastward over a large area over central North America, extending from the Pacific Northwest all the way over the Great Lakes region. The smoke was generated from a number of intense wildfires burning in the western United States and Canada. This scene was acquired by the Moderate Resolution Imaging Spectroradiometer (MODIS), aboard NASA�s Terra satellite, on Sept. 6, 2003. The high-resolution image provided above is 500 meters per pixel. The MODIS Rapid Response System provides this image at MODIS� maximum spatial resolution of 250 meters.